...... More, the converter supports converting the encrypted PDF. If you want to convert the segment of PDF, please choose "Convert PDF with mode3", it can help you. 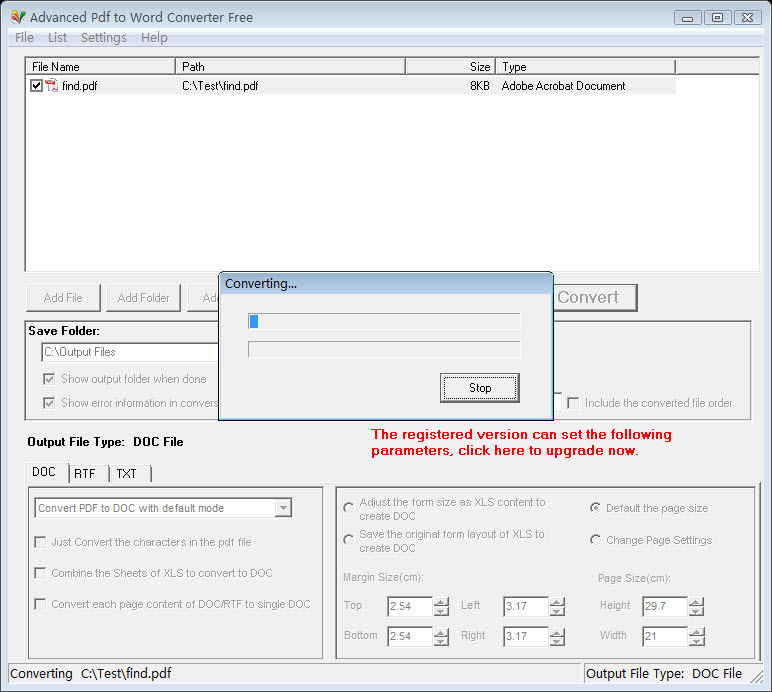 Advanced Pdf to Word Converter Free supports outputting result pages to be customized. You can resize PDF page to fit your required document page size. It can produce DOC,TXT,RTF easily. More professional and particular but easy interface is adaptable to everyone. Qweas is providing links to Advanced Pdf to Word Converter Free 6.1 as a courtesy, and makes no representations regarding Advanced Pdf to Word Converter Free or any other applications or any information related thereto. Any questions, complaints or claims regarding this application Advanced Pdf to Word Converter Free 6.1 must be directed to the appropriate software vendor. You may click the publisher link of Advanced Pdf to Word Converter Free on the top of this page to get more details about the vendor.